I’ve long admired those that dabble in paper craft. 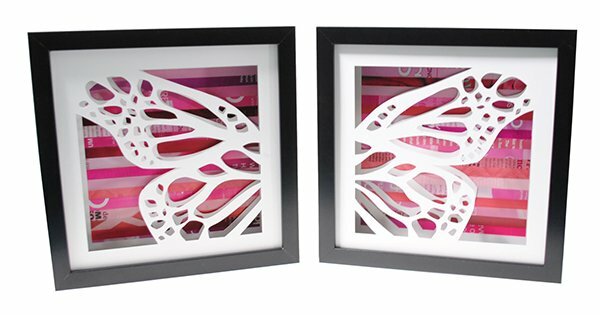 I know a bucket-load of precise cutting and patience is required, so I can absolutely appreciate the gorgeous end products such as these intricate shadow box animals from Color Story Designs – it’s wall art with a difference! 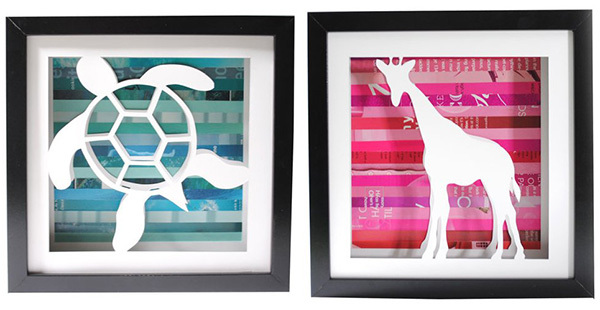 Color Story Designs shadow box art is just the ticket for nursery art that’s unlike any other. 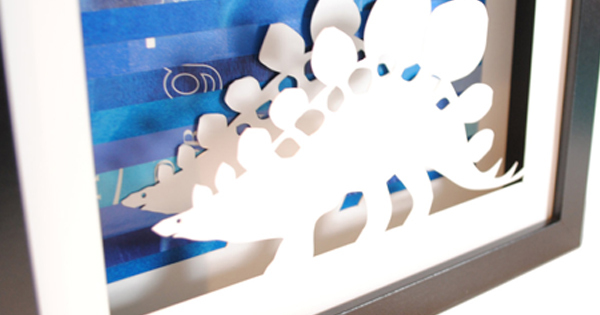 A safari of animals are expertly hand cut with admirable accuracy from quality white card stock – not once, but twice – to add depth to the shadow box design. Talented artisan Amy uses recycled magazines to build backgrounds in the box – all beautifully bright to make your chosen design really pop. A gorgeous addition to any child’s space, shadow boxes are sized a generous 25 x 25 centimetres and come complete with hanging hardware so they can be displayed without delay. Of course, they’re deep enough to stand alone on a shelf if hanging art isn’t your forte. The pair of butterfly wings (pictured top) costs $100 and individual animal designs are $56 and can be purchased direct from Color Story Designs on Etsy.